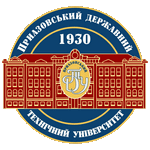 Meeting of prof. Fathy Osman Toughan from the Tabbin Institute For Metallurgical Studies (Egypt) with the students of the Priazovskyi State Technical University. In the framework of the visit to Priazovskyi State Technical University, Prof. Fathy Osman Toughan, the Head of the Department of Natural Sciences of the Tabbin Institute For Metallurgical Studies, Deputy Head of the Union of Arabian Association of Graduates of Universities of the Commonwealth of Independent States countries (Cairo, Egypt), conducted the meeting with the students and academic staff of the Metallurgical Faculty of PSTU on December 12, 2018. Prof.
Crisis and Risks Engineering for Transport Services. To support of development of Crisis and Risks Engineering for transport services (CRENG) to ensure sustainability of Ukraine (UA), Azerbaijan (AZ) and Turkmenistan (TM) transport systems for their integration into Global transportation network. To contribute CRENG development in PCs the environment for education of high skilled specialists in line with labor market, EU best practices and Bologna process will be created.